Fidelity Builders Supply, Inc can help you select the perfect roofing material and color for you house or commercial building. Asphalt/Fiberglass, 30yr, 40yr. 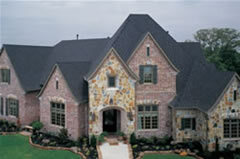 50yr, Lifetime, Cedar Shake, Composite Roofing to Real Slate, we have it all! 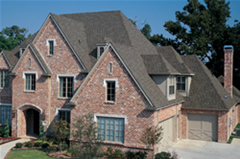 See a house with a roof you like around town—just call us with the address and we will identify the roofing for you. Need a new roof for your home? 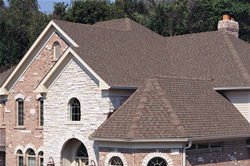 We offer a turnkey package that includes a quality roofing product installed by a trained and insured roofer. Stop in our store and look at our extensive display of samples and we will send our installer to your house to determine a material list and prepare a priced quote including tear off, installing new shingles, appropriate flashing and removal of all construction debris. One Stop Shopping here at Fidelity Builders Supply, Inc.